The novel Citadel of Ice is based on many actual events that occurred during the First World War, but like all good historical fiction, the authors took a number of liberties with the facts. To start with the truths: an ice citadel of the kind described was in fact constructed in the Marmolada Glacier at about the same time—the winter of 1916-17, by the Austrian engineer Leo Handl. The book’s descriptions of the design and construction of the Citadel are closely based on Handl’s own writings. A smaller but very similar cittá del ghiaccio was built by the Italians under the Punta Serauta Glacier. The Italians augmented their ice city with tunnels through the soft limestone of the mountain. In the same vein, the recovery of two mountain-climbers from the ice, who had died in an avalanche in 1875 and were recovered 41 years later some three kilometers from the site of their death, is based on an identical incident described in Mark Twain’s A Tramp Abroad (1880). In building the Citadel, Melchior devises a miniature railroad (based on the Berlin U-Bahn) which hauls men and materials on sledges using an electric pulley, so that “a man could ride the sledge from the Payerhütte to the base of the Königspitz, wearing only a light jacket, in under an hour.” Although this is certainly a very practical idea, no such system was ever developed in the Marmolada Citadel. The attack on Hohe Schneide did in fact take place in the spring of 1917, almost exactly as it was described in the book, using a tunnel from the Naglerspitz outpost. Indeed, the attack was prematurely launched when an Italian sentry fell through the ice and alerted the outpost with his cries. The two areas of fiction here both concern the tunnel used by the Austrians. Although Melchior uses “magnificent” sappers “with titan blood” to complete the two-kilometer tunnel in forty days, the actual tunnel took over five months to complete. Secondly, Melchior’s harpoon device to create rope-bridges over crevasses was pure invention and, given the fragile nature of ice, probably would not have worked as well as it did in the book. One reason it took the Austrians five months to build the real tunnel was that they constructed sturdy wooden bridges over each crevasse they encountered along the way. Melchior’s description of the battle being won by hurling hand grenades into the outpost is accurate. Melchior’s story of his near death in an avalanche relies on actual descriptions of several avalanches which took place after a heavy snowfall in early December, 1916. Thousands of men on both sides were killed and most of the bodies were not recovered until the following spring. The fiction here is that the avalanche occurred on the Ortler slope near the Payerhütte. The Payerhütte is built on an outcropping of rock that was deliberately chosen by Julius Payer because it is out of the path of any avalanches. As for the Russians and the Jews, they are fictitious but plausible. Russian prisoners of war were used to haul equipment up the slopes and might very well have been assigned to shovel snow. The conditions in which they lived were every bit as atrocious as those described by Melchior. Jews volunteered and were conscripted into the Austro-Hungarian armed forces, and often bore the brunt of bigotry and hatred, although not always. Melchior was enlightened for a Bavarian of that era, but he was by no means unique. As for Jews working in the Hallein Salt Mine, there is no record that there were many, if any, Jews there—the mine was operated mainly by Bavarians—but the mine’s modernization by using water pumped in and out is factual. A bit of trivia: Melchior von Fuchsheim’s namesake, referred to in the book as a soldier in the Thirty Years’ War who was “disliked and envied by all”, is the protagonist of the novel Simplicius Simplicissimus by Hans Jakob Christoffel von Grimmelshausen (1668). Finally, although there was never any Ice Citadel on the Ortler, it was in fact the scene of combat at the highest elevation in recorded history, over 3,900 meters above sea level. Man may spread out into the farthest reaches of the universe, but by his very nature, he will bring his weapons and bloodshed with him. Photo showing the tunnel to the summit of Hohe Schneide-Monte Cristallo which took 5 months to build. The story of the Ice Citadel expresses a basic conflict between what it is to be a soldier and what we are as human beings. Like many other people throughout history, Melchior von Fuchsheim becomes a soldier not because he wants to fight, to kill enemies, or to defend the Fatherland, but because he wants the social prestige attached to being in the army. He enlisted at a time when there was no war and none in the foreseeable future. Even when World War I started, few people foresaw that it would evolve into a protracted conflict, so Melchior was astonished to find himself on the Western Front in a nightmarish situation beyond anything he could have imagined. War occupies a peculiar place in our cultural imagination: it can be thought of and discussed in abstract terms as conflict, battle, the fray, melee, and so on—terms which don’t conjure up anything much more graphic than a child’s toy soldiers do. But Melchior discovered soon that being a soldier means killing other people, often at close enough range that you can witness the end of another person’s life as a result of your actions, frequently due to bleeding or evisceration, or other forms of mutilation, with screams or signs of great pain and suffering as “the enemy” realizes that he will never see another sunrise. Many soldiers take this in stride or become accustomed to it, temporarily at least. Some do not. Melchior is a humanist: he not only cares for his comrades but seeks to protect Russian prisoners of war and even spares the life of an Italian who falls through the ice into a tunnel just as the Austrians are about to attack: “Strange to say, we were unarmed except that I still wore my little Reichsrevolver in a holster. Now was a moment for action, and the four other men were in the tunnel behind me, so it would have to be my action. The Italian was bellowing his head off as he drew his bayonet, no doubt alerting the entire outpost, so I simply picked up a shovel and clapped him over the head with it. His soft wool forage cap did nothing to save him, and he slumped over, still clutching his blade.” Instead of shooting the man, Melchior knocks him unconscious, and thus saves his life. As soldiers, we voluntarily suspend the moral compunction that inhibits us from killing and injuring each other, and society largely accepts this. The difficulty comes when we must distinguish between necessary killing and that which comes from thoughtless habit, or arises from bitterness and hatred which must be satisfied somehow by murdering innocents. Melchior feels compelled to do whatever he can to preserve life, even the lives of “the offal of mankind” as Stutz refers to them, the Russians and the Jews. We think of war as being psychologically traumatic because of the terrible injuries and deaths that soldiers witness on the battlefield. In fact, witnessing this physical violence is less traumatic than the moral violence that it is the result of, the moral violence we do to ourselves when we decide that killing and injuring people is acceptable—as long as they are “the enemy”. This is because we can suspend our belief that killing is immoral—but only temporarily. Eventually we return to the belief that the act of killing is wrong. Robie Macauley witnessed some astonishing cruelty when he marched into Germany in early 1945, as the Third Reich was fighting for its life on the banks of the Rhine. He took part in the liberation of Flossenbürg Concentration Camp and knew what the Nazis had done to the Jews and others they considered unworthy to live. But he also saw American soldiers killing and injuring unarmed German civilians just because they, too, were “the enemy”. For him, Melchior must adhere to an overriding moral code that values human life and seeks to preserve it. The point and purpose of the Citadel was not to promote war or to vanquish the foe; rather it was to separate the warring sides with a sheet of ice. Although the concept of a sub-glacial fortress is derived from Leo Handl’s real-life experience, Robie Macauley set the story on the Ortler Glacier, which is much larger and higher than Handl’s Marmolata, but was indeed the site of some ice-tunneling. In April 1916 the Italians captured a small ridge overlooking the Zebru Valley. This ridge was known in German as Hohe Schneide (Monte Cristallo in Italian). 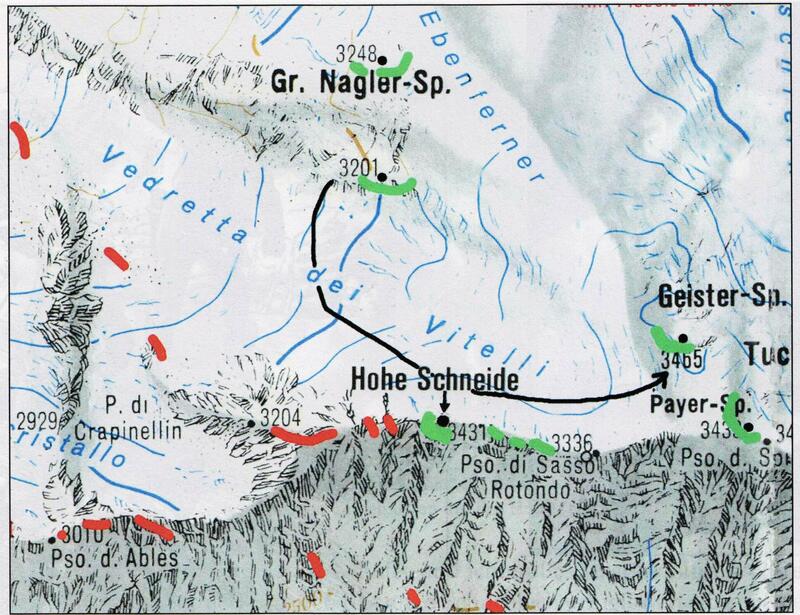 An attack would have been difficult given the fierce weather, but a crew of Austrians painstakingly bored through the glacier and launched a successful assault on the ridge. Their plan was nearly foiled when an Italian sentry fell through the ice just moments before the Austrians were planning to attack, however the Italians were eating breakfast and did not hear their comrade’s cries. 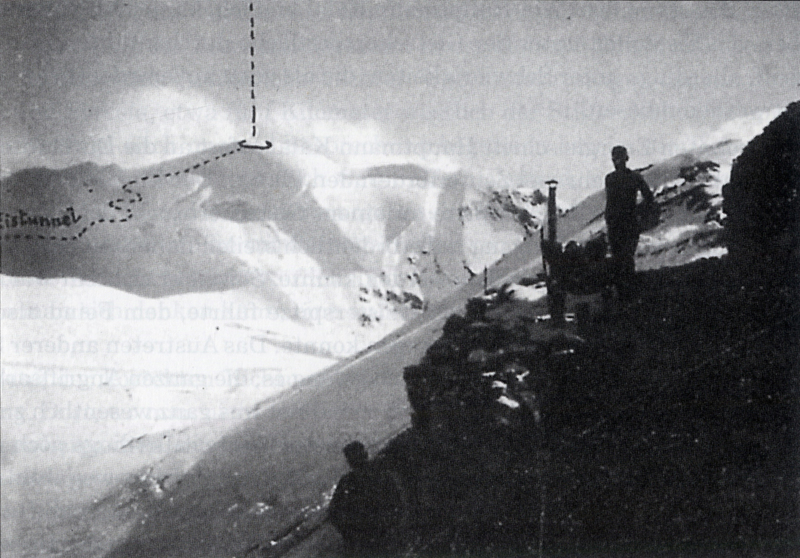 Citadel of Ice recounts a number of true stories harvested from obscure military reports and alpine histories. The war in the Alps was fought under such extreme conditions that it is a wonder that either side considered it worthwhile. Melchior certainly was not committed to fighting; rather, his goal was to provide shelter for the troops so that they could survive. The First World War was notable for its utter negligence of the value of human life: soldiers were sacrificed in mind-boggling numbers in pointless attempts to capture small swatches of territory, mowed down by machine-guns or blasted by artillery barrages. Technology had clearly superseded the traditional notion of the warrior on the battlefield, to the point where the Western Front became a deadlock of equivalent forces. The inventions of poison gas, the flamethrower and the tank were attempts to overcome the stalemate with new technology. In the end, economic exhaustion and the mere lack of men led to a weary and reluctant armistice. The Citadel relied on technology to bring men and supplies up into the mountains, but the construction of the Citadel was no technological wonder–it was merely the realization that the ice was sturdy and reliable enough to house and protect the troops. Like Handl, Melchior was one of those engineers who wanted to preserve life and reduce risk. For him the war was an engineering challenge that had nothing to do with victory. But he was neither a coward nor a traitor: after nearly losing his life on three occasions he returned immediately to the front without question. Map of the actual Hohe Schneide tunnel, which took 5 months to build. 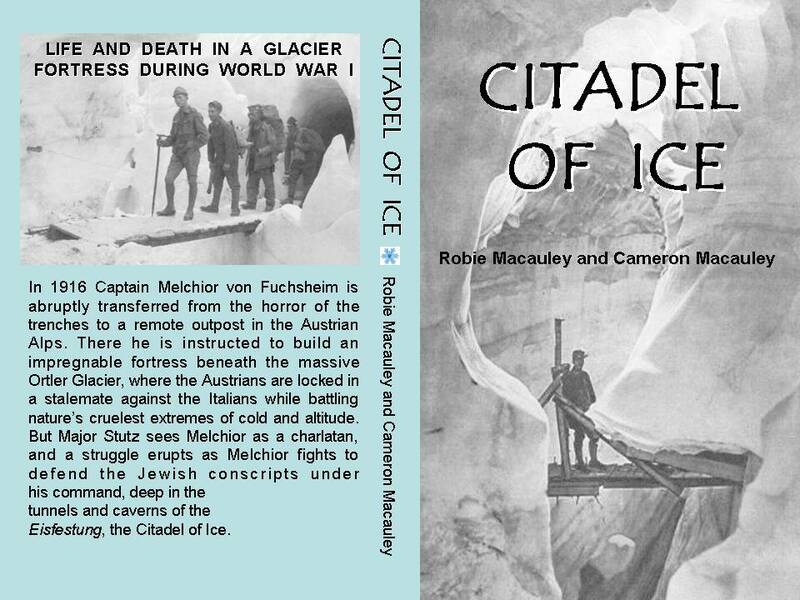 Robie Macauley’s last novel, CITADEL OF ICE, is based on the true story of Leo Handl, an Austrian engineer who constructed an actual glacier fortress under the Marmolada Glacier, about 100 miles east of the Ortler. 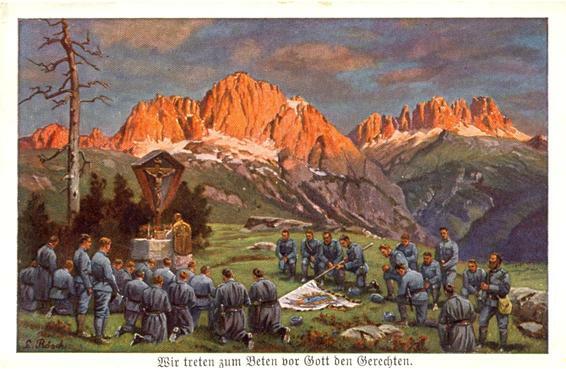 In April of 1916 the Italians attacked during a snowstorm and captured the crest of the Adamello glacier. 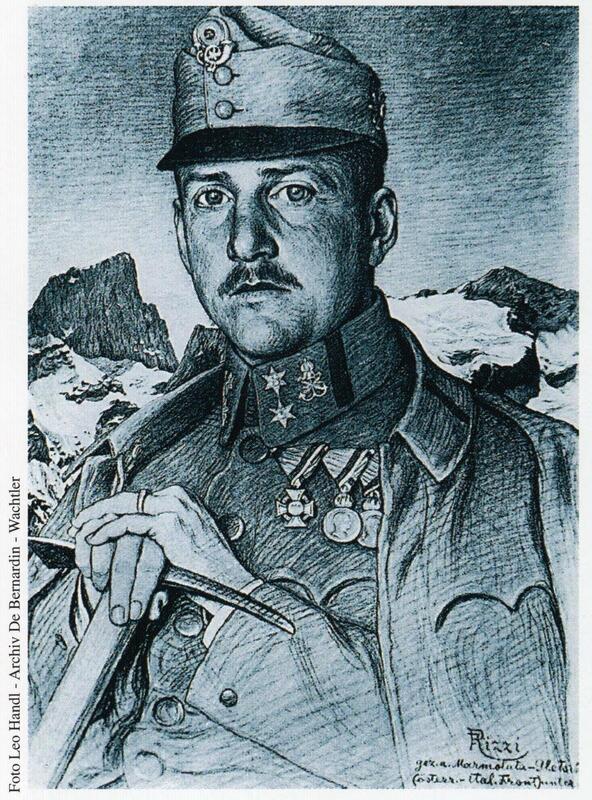 Lieutenant Leo Handl, commander of the 9th company of the 2nd Tyrolean Kaiserjäger Regiment, had been attempting to reach an outpost with a group of men and came under enemy machine-gun fire. Spotting a crevasse in the snow, the quick-witted officer anchored a rope and led his men down into the silent underworld of the glacier. By luck, they landed on a sturdy ice bridge and made their way beneath the surface beyond the Italian position to a spot where they could tunnel up through the firn and reach their destination. Handl was elated, and having been trained as an engineer he immediately began developing plans for exploiting the glacier. He discovered what glaciologists already knew—that the great berg was not solid but, in the lower depths, where immense pressures cause melting and motion, there were channels and caves in the ice. The construction of the Marmolada Ice Fortress took two years and resulted in an installation over five miles long, housing over 1,500 men. In 1918, following the battle for the Marmolada, Handl was transferred to the Ortler where he began to design a new “city of ice”. However, Germany’s surrender in November cancelled the project. At the end of the war he continued to study glaciers and their structure. During World War II he was sent to Norway, but due to his anti-Nazi convictions he was dismissed. Following the war he spent almost a year living inside a Norwegian glacier, studying its movements. He died at Innsbruck on May 13, 1966. Robie Macauley, noted author, editor, teacher and critic, died on November 20, 1995. At the time he was at work on his last book, a novel about the construction of a fortress under the Ortler Glacer in the alps during the First World War. Melchior von Fuchsheim has survived twenty months in the trenches of the Western Front when he is abruptly and mysteriously transferred to a remote outpost high in the Austrian Alps. There the Austrians face the Italians in a world of mountaintops, crevasses and howling blizzards. Melchior is instructed to begin work on storage chambers to be hollowed out of the ice on the edge of the glacier. A crystallographer by training, Melchior decides that an entire fortress could be built under the ice, to protect the Austrian troops from the fierce weather as well as Italian snipers and artillery.